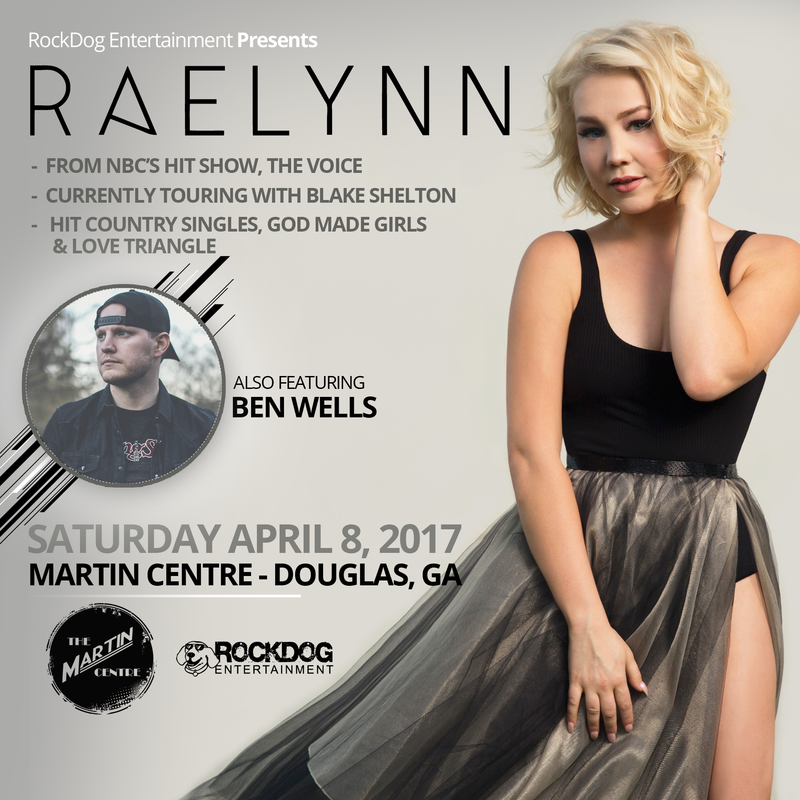 RockDog Entertainment presents RAELYNN in Concert, April 8, 2017 7:00 PM at the Martin Centre in Douglas GA. Also featured, will be Ben Wells. Raelynn appeared on the... NBC hit show "The Voice" and is currently touring with Blake Shelton. 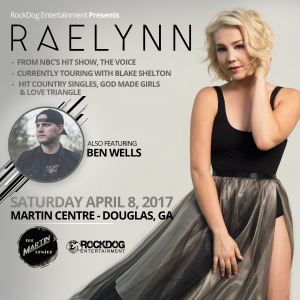 Some of Raelynn's notable hit singles are "God made Girls" and "Love Triangle"
AFTER PARTY TICKETS ADD ON! Attend the after party featuring Laney Strickland at the Fern Bank in Douglas, GA.only 125 tickets available! After party will last from 10 PM to 12:30 AM. Must be 21+.